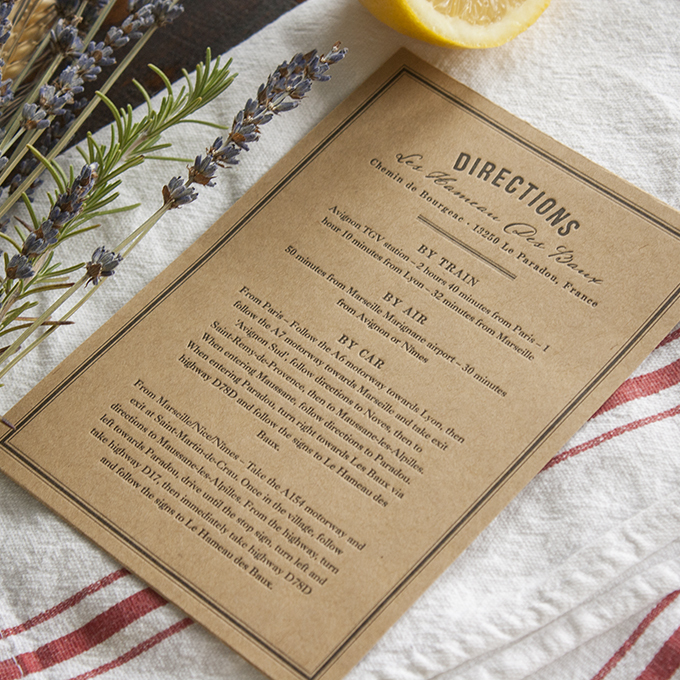 Pricing starts at $309.  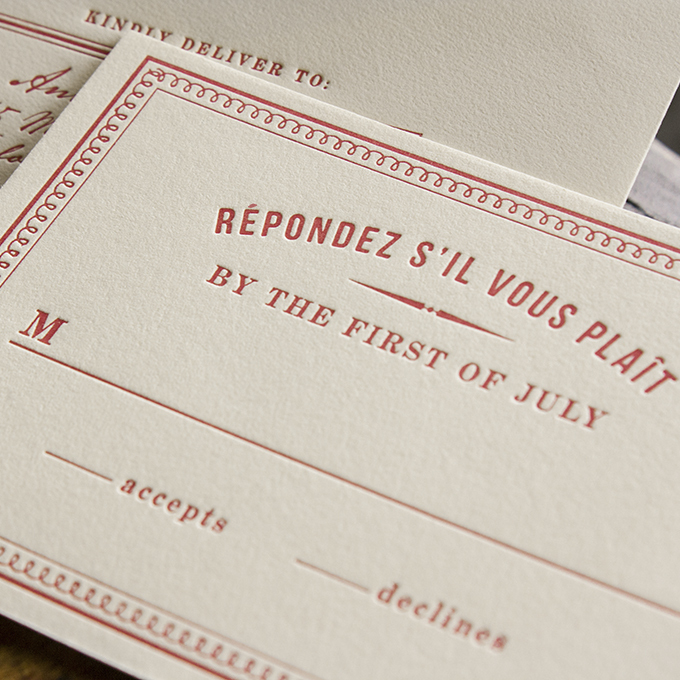 ALL ENCLOSURE CARDS ARE AVAILABLE À LA CARTE. 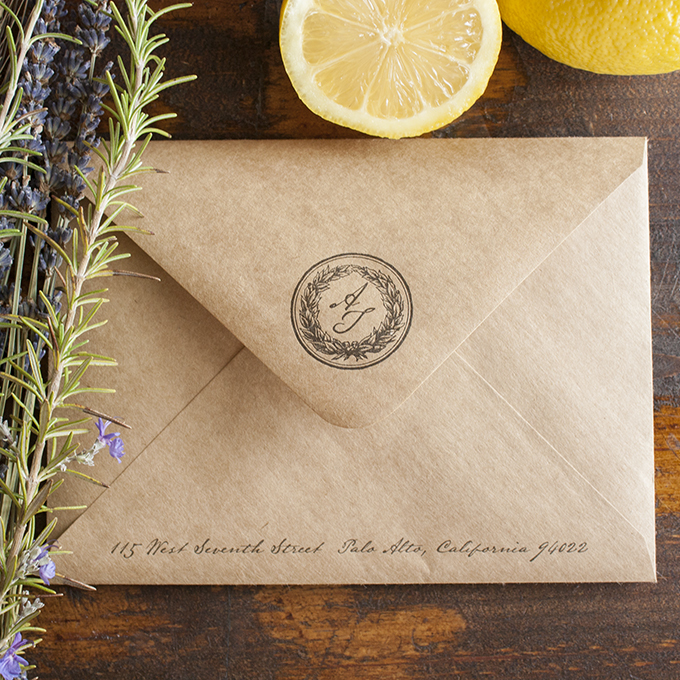 From the rolling hills of California to the lavender fields of Provence, Market is the quintessential wedding invitation for an elegant rustic wedding in the countryside. 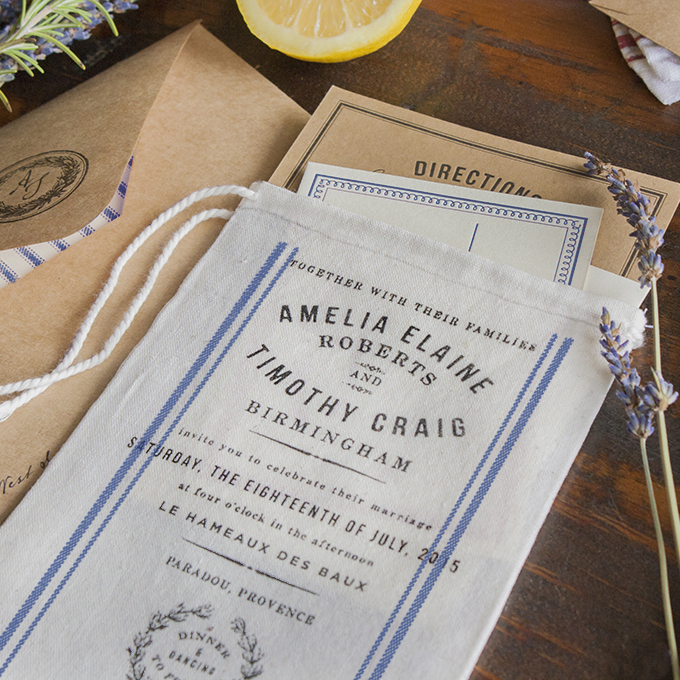 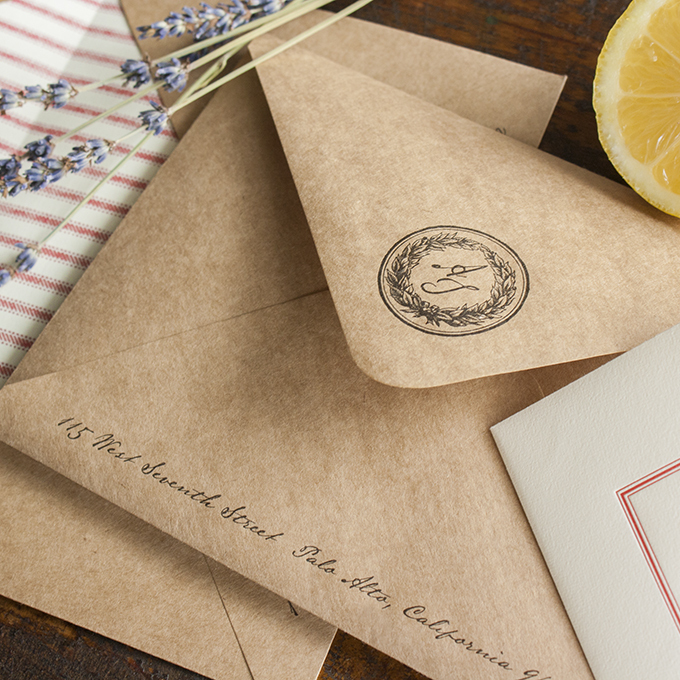 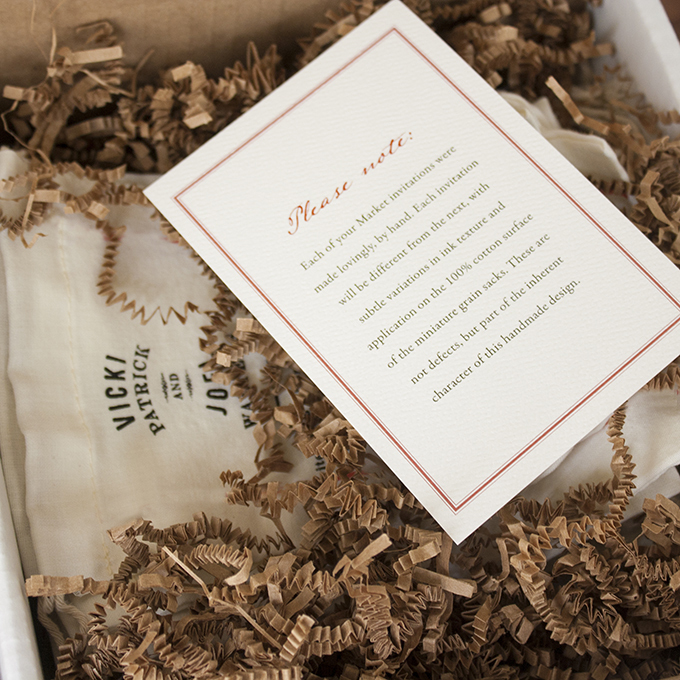 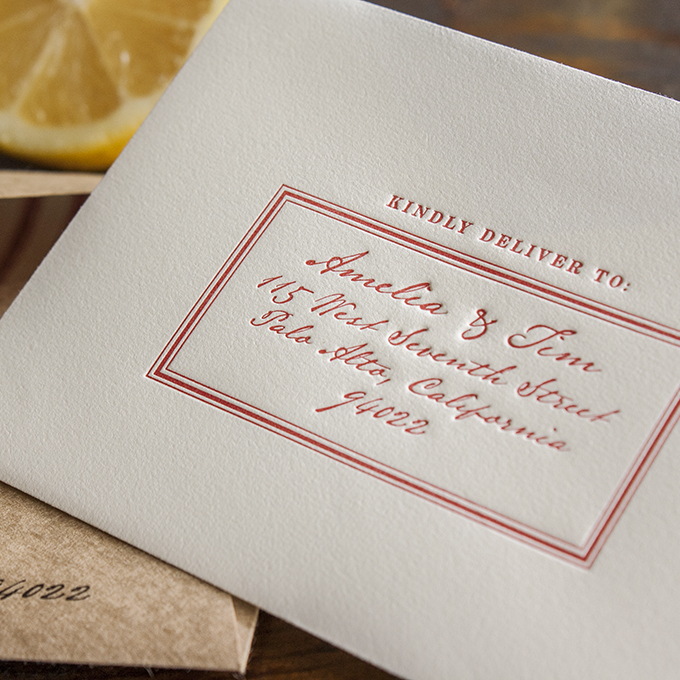 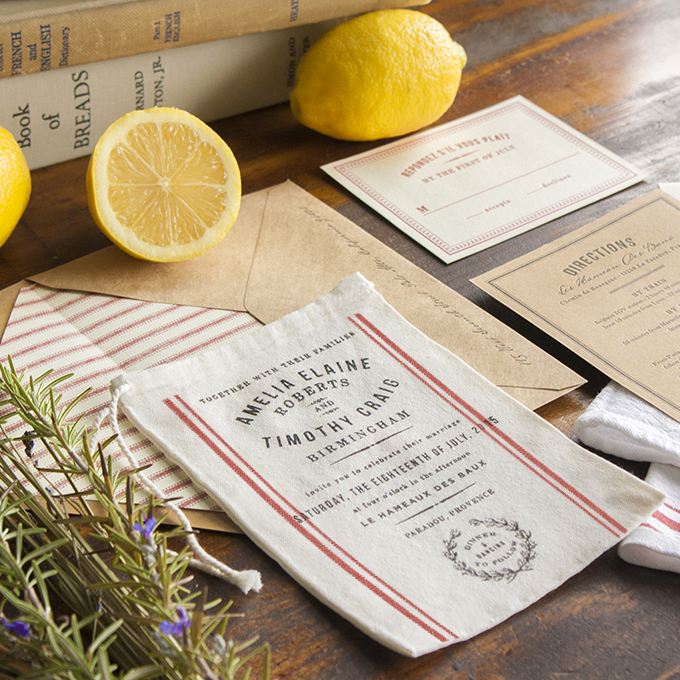 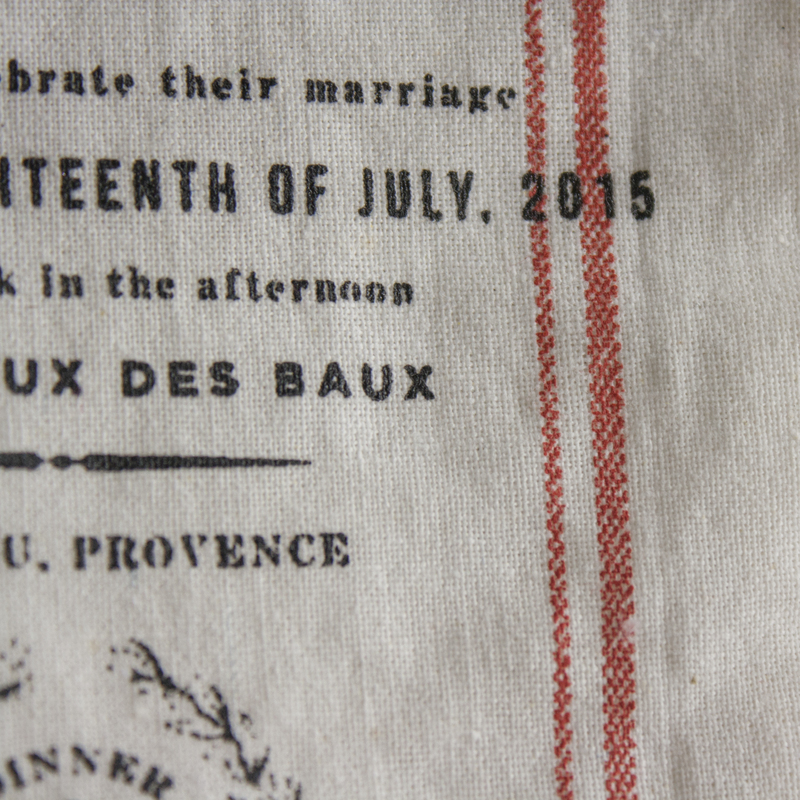 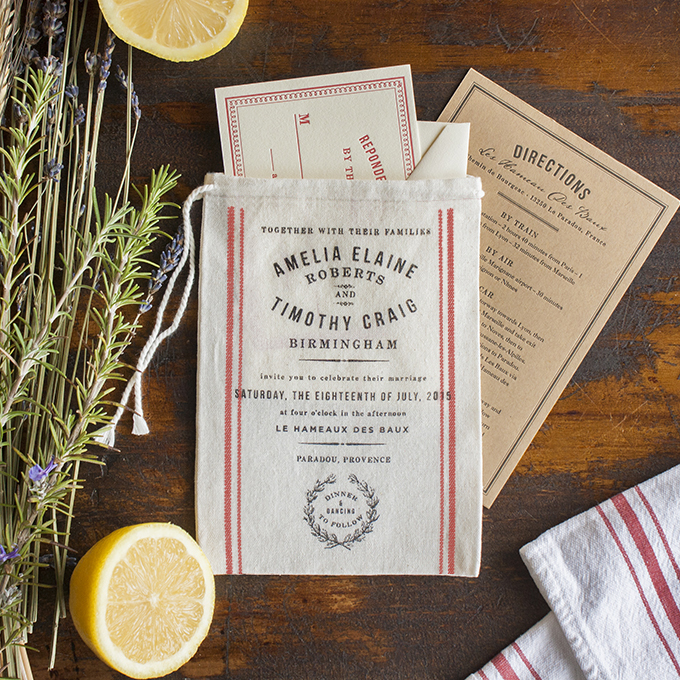 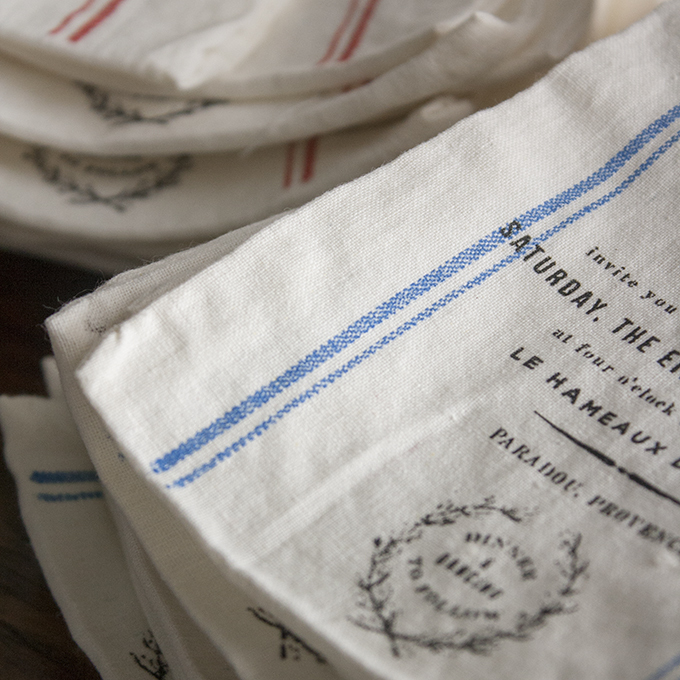 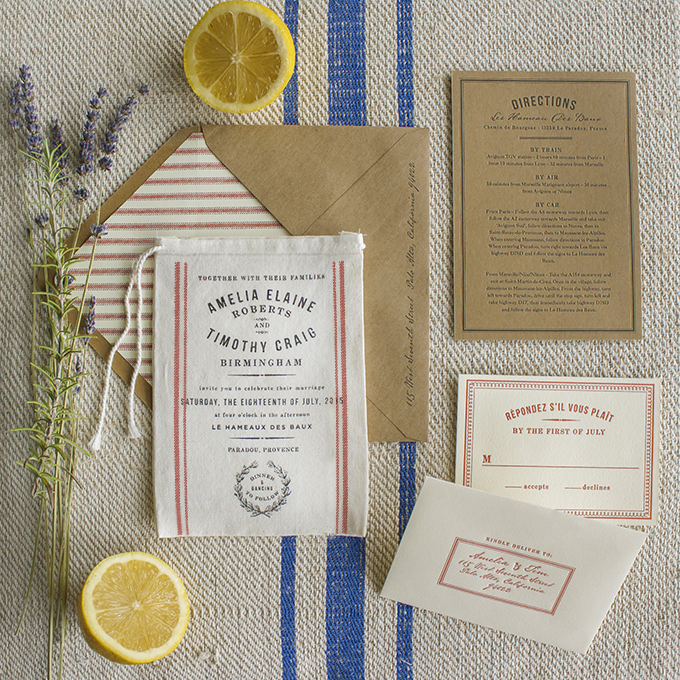 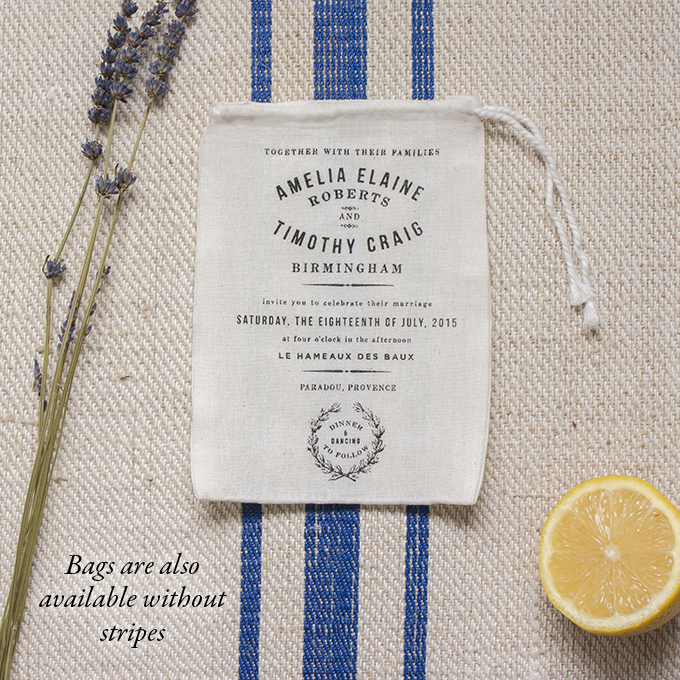 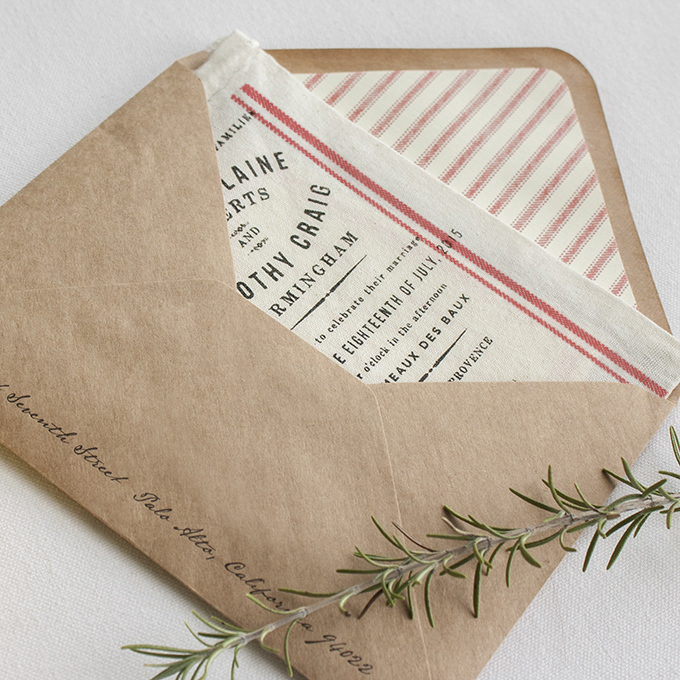 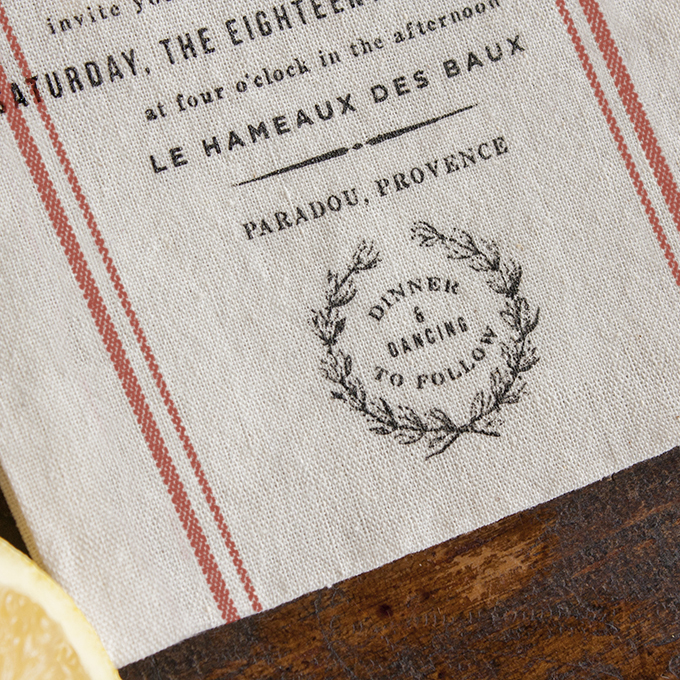 Inspired by French grain sacks and fresh picked farmer’s market herbs, enclosure cards tuck perfectly inside our 100% cotton miniature grain sack invitations which are handprinted and available with or without stripes. 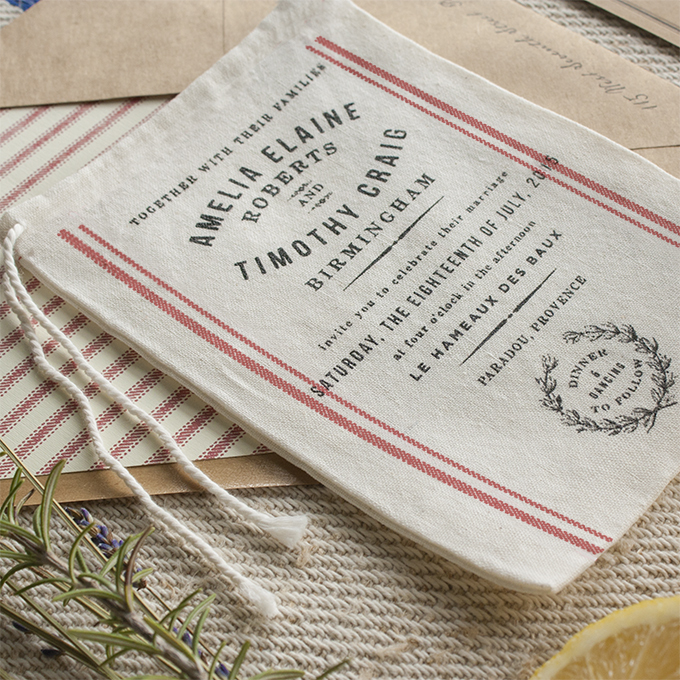 Click here to view our Pinterest wedding board inspired by Market!